Zakaria busted… but should he have been? Today, I was waiting for Fareed Zakaria’s GPS on CNN in vain. I had no idea at first why the program was preempted, but then on Reliable Sources, Howard Kurtz explained: Zakaria was was suspended by both Time and CNN for plagiarism. 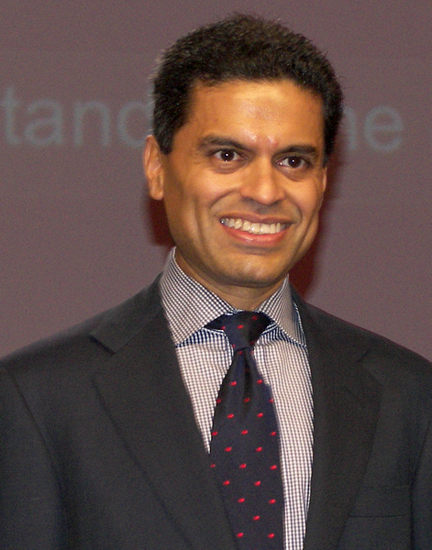 Zakaria admitted making a “terrible mistake” and apologized. But wait a cotton-picking minute. What exactly happened here? Perhaps it might have been wise for Zakaria to mention that this paragraph was based on Lepore’s article. But then, unlike papers written for scientific journals, newspaper articles are rarely sourced. In any case, I just don’t see how this warrants a suspension and a public humiliation of a journalist who is respected around the world. Not to mention giving an undeserved opportunity for right-wing nuts who find even Zakaria’s centrist views much too liberal for their taste to rant again about the “liberal bias” of the “mainstream media”. A prime example comes from the blog site American Thinker: “wouldn’t it be prudent to cut him and let him paste away elsewhere? I mean, I know you have a Muslim quota to fill, but I’m sure there’s an acceptable replacement you could poach from Al Jazeera.” Huh? Yes, I know Zakaria was born a Muslim, but he is no more a practicing Muslim than I am a practicing Catholic. I guess these are the same “American thinkers” who cannot tell the difference between a Muslim and a Sikh when going on a murderous rampage. But then, who cares about such nuances when you can spew hate?